Councilman Warren Harhay dressed as Herbert for the inaugural Pooch Parade at Bicentennial Park on Saturday, Nov. 3, with his dog, Hoover. 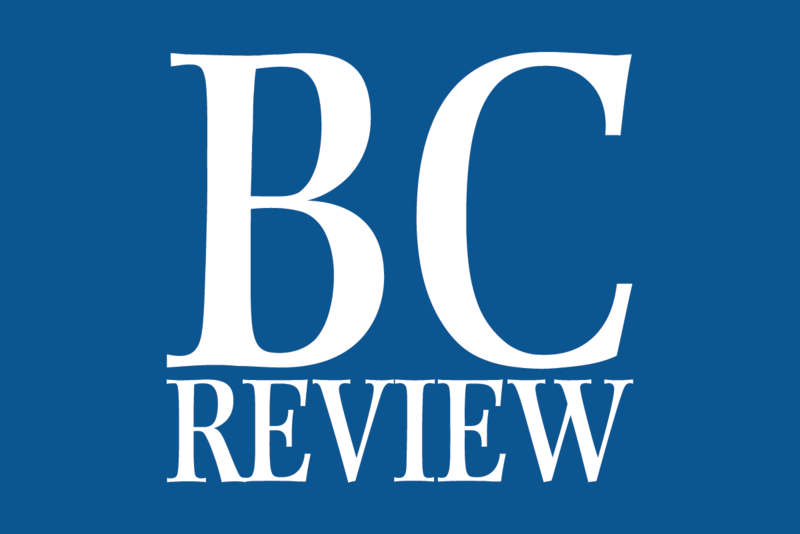 Presented by the Boulder City Chamber of Commerce, the event was geared to dog lovers. 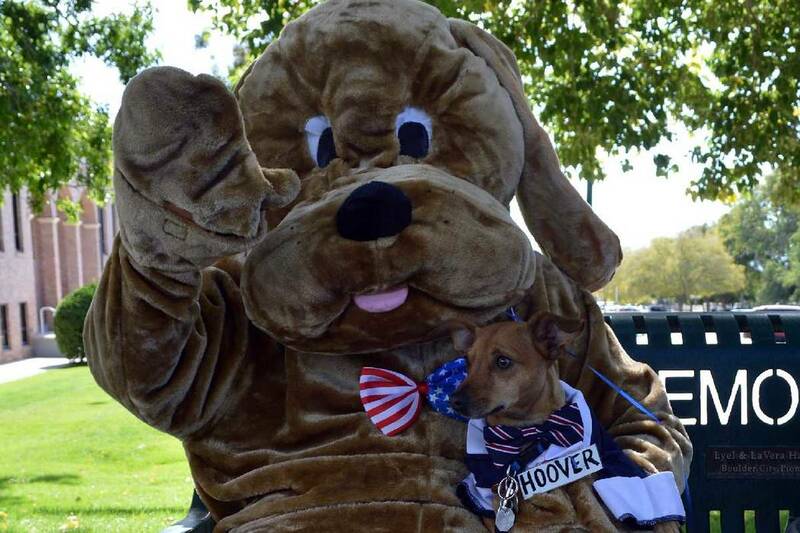 (Celia Shortt Goodyear/Boulder City Review) Councilman Warren Harhay dressed as Herbert for the inaugural Pooch Parade at Bicentennial Park on Saturday, Nov. 3, with his dog, Hoover. Presented by the Boulder City Chamber of Commerce, the event was geared to dog lovers. 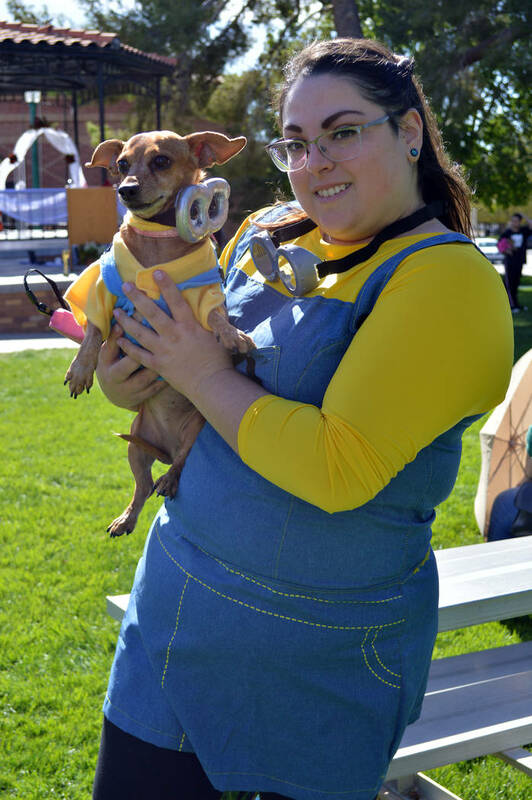 (Celia Shortt Goodyear/Boulder City Review) Jessica Abolnik and her dog, Winnie, dressed up as minions for the owner/duo category at the Pooch Parade on Saturday, Nov. 3, at Bicentennial Park. 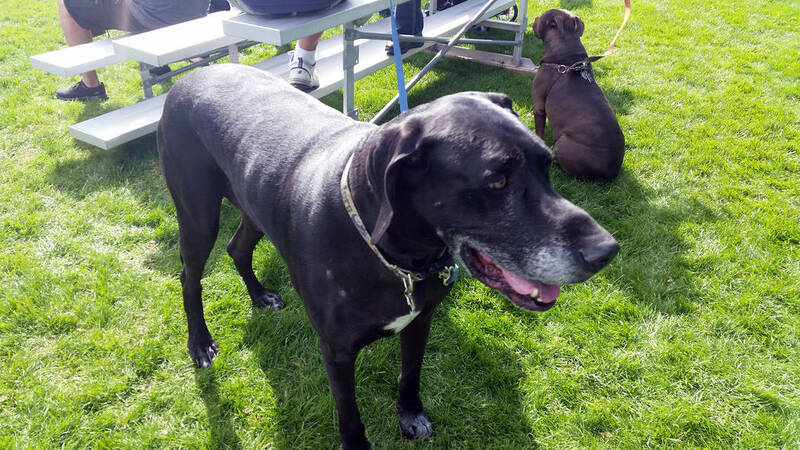 (Celia Shortt Goodyear/Boulder City Review) Big Ben the Great Dane took a moment to relax Saturday, Nov. 3, at the Pooch Parade at Bicentennial Park. 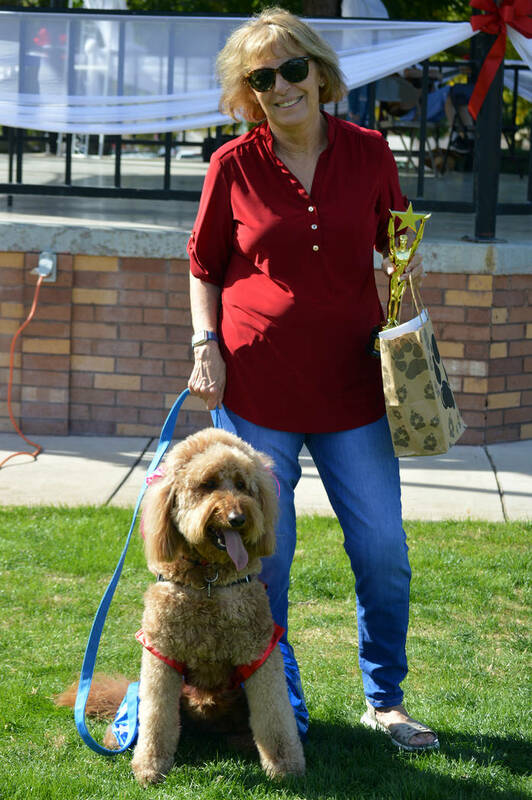 (Celia Shortt Goodyear/Boulder City Review) Sharon Newby and her dog, Ruby, won first place in the best holiday outfit category at the Pooch Parade on Saturday, Nov. 3, at Bicentennial Park. (Celia Shortt Goodyear/Boulder City Review) Jim Dieutz performed a song at the Pooch Parade on Saturday, Nov. 3, at Bicentennial Park. Jessica Abolnik and her dog, Winnie, dressed up as minions for the owner/duo category at the Pooch Parade on Saturday, Nov. 3, at Bicentennial Park. Sharon Newby and her dog, Ruby, won first place in the best holiday outfit category at the Pooch Parade on Saturday, Nov. 3, at Bicentennial Park. Big Ben the Great Dane took a moment to relax Saturday, Nov. 3, at the Pooch Parade at Bicentennial Park. 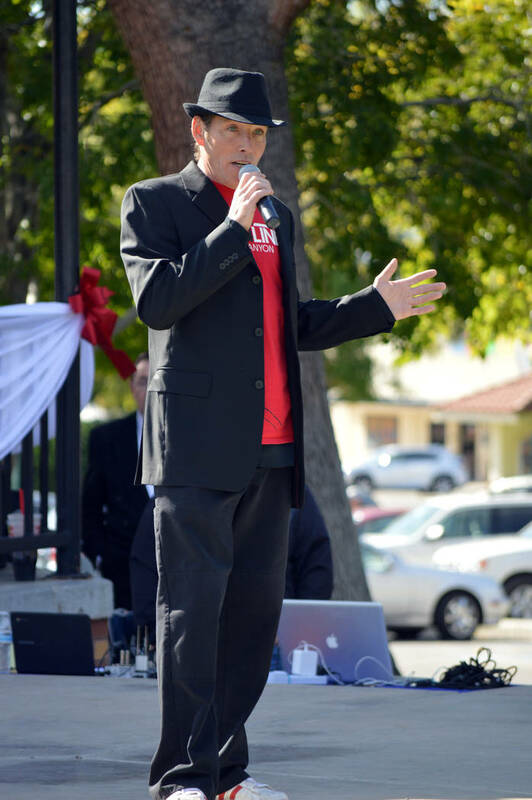 Jim Dieutz performed a song at the Pooch Parade on Saturday, Nov. 3, at Bicentennial Park.